Staff photo by Jenna Walker/Chattanooga Times Free Press - Apr 12, 2011 -- Bill Carter poses for a portrait in front of cases of Miller High Life inside of his Carter Distributing warehouse in Chattanooga, Tenn. Carter was nominated by his son Blair for the Miller/Coors Legends Award for his 60+ years of service. Following the Wednesday death of 91-year-old Bill Carter, a former state representative from Chattanooga and the founder of Carter Distributing Co., he was remembered by friends last week as a dedicated public servant. Bobby Wood, also a former state representative, said he first ran when Carter was running for the state Senate in 1976. "He's always been an inspiration to me because of his dedication and devotion to public service," he said. Wood said he recently spoke with Carter about their time in politics and told him he missed "being a part of it and having an opportunity to make a difference and do something for the state." He said Carter responded by saying, "Bobby, there's not a day goes by that I don't miss it." "I thought that was a pretty strong commitment to make and dedication to the job and to service. That's the thing I'll always remember from him," Wood said. In a previous article the Times Free Press reported Carter was selling nearly 2.7 million cases of beer every year. Carter credited much of his success to longevity. "I've outlasted most of my competitors and am one of the last still standing," he said. "We hung on until we were the winner." Carter sold his interest in a Clarksville, Tenn., beer distributorship more than 50 years ago. 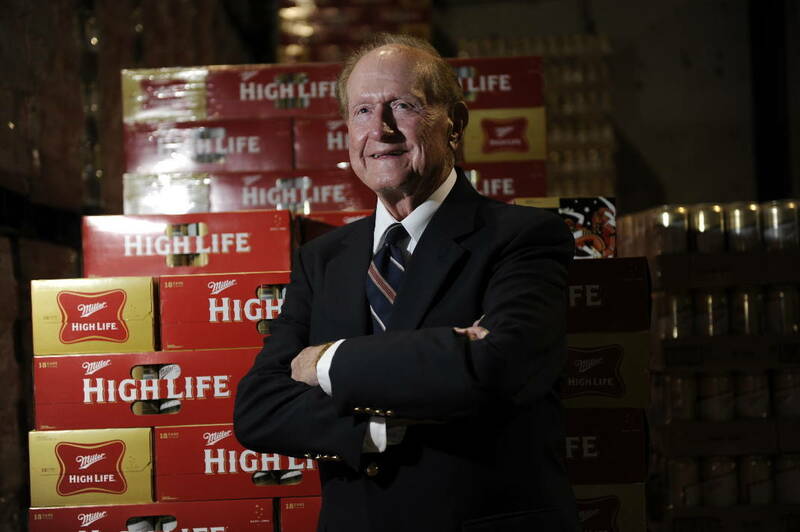 He picked up the franchise for Miller High Life in Chattanooga and started Carter Distributing Co. when there were eight other competitors in town. Today, only three major distributors remain in Southeast Tennessee — Budweiser of Chattanooga, Carter and Tennessee Crown. In 2011, MillerCoors honored Carter with one of its top honors, the Legends Award, for more than a half century of distributing the Miller brand. Among more than 2,000 Miller distributors, fewer than two dozen have won the company's Legends Award.